It's the battle of the top two teams in the Metropolitan Division with the season winding to a close as the Washington Capitals host the Pittsburgh Penguins. If Mike Sullivan had been the Pens' coach for the entire season, it's not unfathomable that the division could've been on the line. The Capitals are the Presidents' Trophy winner, but the Penguins are the hot team, having won 7 straight and 13 out of 14. With a win tonight, they can wrap up 2nd place in the Metro to finish up an incredible mid-season turnaround. It'll be the 5th and final meeting between the two teams this season, and it'll decide the season series winner as they've split the first four games two apiece. Alexander Ovechkin has been the best goal scorer since he entered the league, and with 47 goals on the season he looks poised to capture his 4th straight Rocket Richard Trophy and 6th total of his career. Ovechkin scored both his 900th point and 500th goal earlier in the season, and if he can manage 3 goals in Washington's final two games he'll hit 50 for the 7th time of his 11 year career. 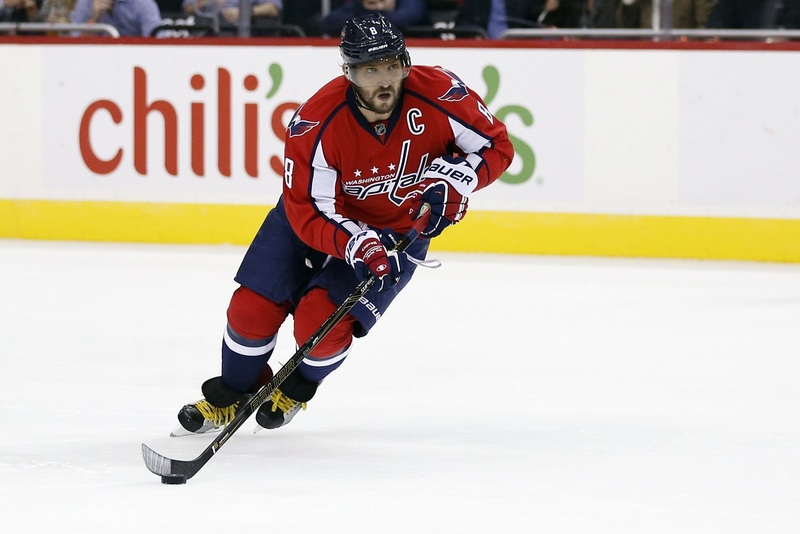 If not for a pitiful 21 assists on the season, Ovechkin would likely be garnering some serious attention for the Hart Trophy given that the Presidents' Trophy winning Capitals currently have a 12 point cushion in the league standings. That low assist total also means that it's Evgeny Kuznetsov, not Ovechkin, who leads the Capitals in scoring with 75 points. It's been a career season for the 3rd year centerman, and he's shown why Washington was wise to be patient in waiting for him to come over from the KHL. Kuznetsov fell to the Capitals with the 26th overall pick in the 2010 draft despite being more highly rated, and concerns over being able to sign the Russian likely contributed to that fall. Washington wasn't able to add him to the NHL until the tail end of the 2013-14 season, but he's been a big addition to a powerful Capitals offense that ranks 2nd in scoring on the season with 3.04 goals per game. The team also made a couple of big additions in the offseason. After years of struggling in they playoffs, Washington signed one of the biggest playoff performers in 2014 Conn Smythe Trophy winner Justin Williams to a 2 year, $6.5 million contract, and he's 4th on the Capitals with 51 points (22 goals, 29 assists). Newly acquired T.J. Oshie is 2nd on the team behind Ovechkin with 26 goals after the team traded Troy Brouwer, prospect Pheonix Copley, and a 2016 3rd round pick to get him from St. Louis. Though it's a high-scoring group, the Capitals are a mediocre possession team, ranked 14th with a 50.9 CF% at 5-on-5 play. - While a win would clinch 2nd place in the Metro and home ice advantage in the first round of the playoffs, the Pens can still clinch tonight it they lose in overtime or the shootout if the Islanders win against the Rangers in any fashion or if the game goes into a shootout. - The Penguins have won 7 straight game, and a pair of Pens have had a point in each contest. Kris Letang (11 points) and Sidney Crosby (8 points) will carry active 7 game point streaks into tonight's game against the Capitals. - The Penguins have recalled Tom Sestito from Wilkes-Barre/Scranton.